OK, we all know at this stage that Responsive Web Design (RWD), essentially, removes the costly task of creating several different versions of your website; be it on mobile, desktop, on tablet and throws it out the window. Responsive web design allows you to create one website that is compatible with all mobile devises no matter what screen size or resolution. Not only is responsive design affordable and easy to maintain, it has some major SEO benefits that conventional websites do not have. Here are some reasons RWD’s marketing benefits that are some reasons for you to make the switchover. 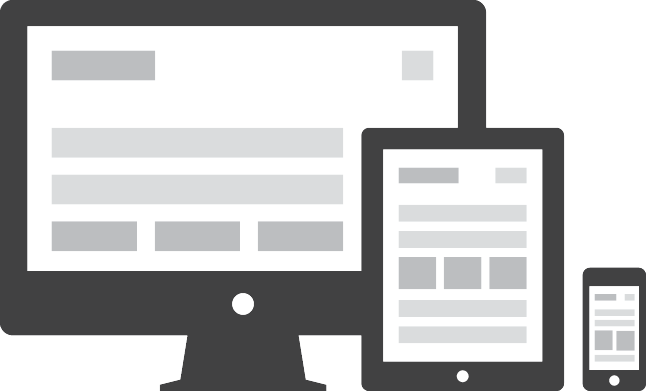 With a Responsive Web Design, you don’t have the hassle of about updating various iterations of your website in order to upkeep the mobile/tablet/desktop versions consistent. The CMS you are probable using right now will allow you to update it once, then it will update on all views. It is the same iteration of the web data being used on all versions. This will add value of your site to visitors, and in turn, the search engines. RWD takes three sites versions and makes them one site. You will not have to place canonical tags on pages to prevent duplicate content penalisations all around your mobile/desktop editions. It makes your web design efforts more efficient and does 3 jobs at once. If a user searches on any mobile device, and enters in a URL, the desktop link is often redirected to a mobile version of the URL, for example “m.website.com”. Inbound links (links that are pointing inwards to you domain) are viewed as votes for your website by the various search engines. If you have many inbound URLs, the more prominent it will rank for various keywords. The issue happens, when the mobile sites gets very little of the so-called “link juice” that is pulled in by these inbound links because they have different URLs (i.e. “m.website.com”) and are accessed through some 301 redirects for example), It leads in a poorer mobile ranking. An RWD site luckily has the same globally URL structure right across all devices that access the site, which ensures that mobile/tablet/desktop search rankings are all following the same trend get better ranking.